Home insulation can really make a huge difference in your energy bills. If you have the proper amount of insulation, and one of the better types of insulation, you can save up to 50 percent on your energy bill. For example, residential foam insulation creates a great barrier to keep air, moisture, noise, and heat and cold from passing through from the inside of your house to the outside or vice versa. This can really lower your bills for heating your house or cooling your house. For those who are interested in using residential foam insulation, one type that you can consider is rigid foam insulation. This is really easy to install since you can cut it to size using common tools that you already have in your home. Owens Corning makes a product of this type called FOAMULAR® 150. You can buy large sheets of this rigid foam (it comes in sheets of 2 feet by 8 feet or 4 feet by 8 feet) in thicknesses from ½ inch to 2 inches. 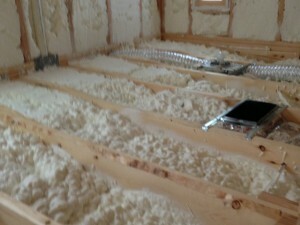 You can use this type of insulation in basements, in crawl spaces, or on exterior walls. 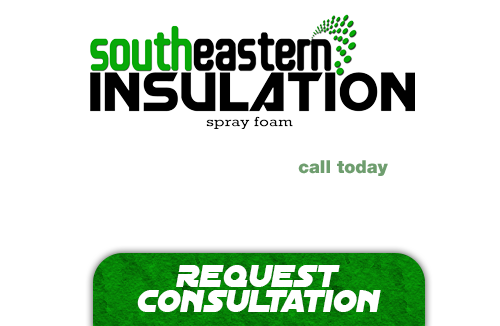 Another option for residential foam insulation is spray foam. One brand that is available is ICYNENE LD-R-50(TM), which is a open cell spray foam. Since this particular product is made using castor oil so that it is more environmentally friendly, it is great for those who are trying to be greener. It is considered an Environmentally Preferable Product, it has been manufactured so that it doesn’t contain any CFCs or HBDEs, and it is water blown. Having someone come in to install your insulation can be quite costly. However, if you are good at do-it-yourself projects, you can buy spray foam kits and install your own insulation. Foam It Green® Spray Foam Insulation Kits are one example of residential foam insulation kits. You can purchase one of more kits of different sizes to get the right amount of coverage for your project. Options include a 1,200 square foot kit for $1,369 a 602 square feet that costs $609.98, a 202 square feet for $329.99, and a 12 square feet for touch ups for $29.99. Unlike the spray foam mentioned above, these kits contain the more expensive by higher rated closed cell spray foam. This company has also formulated their product to be as environmentally friendly as possible.